There are plenty of times when a small wooden board is all you need to set out or serve something when entertaining. And it's even better when they look awesome and make whatever you're sharing look that much tastier. 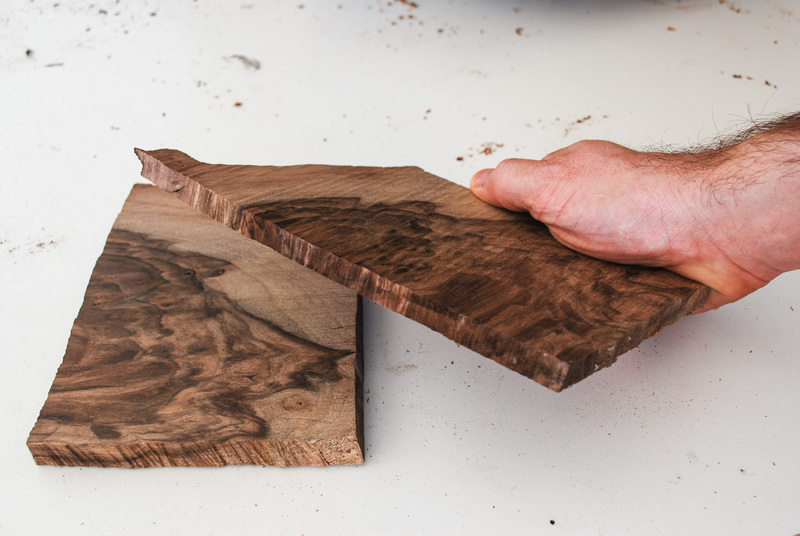 If you have a few scraps of hardwood (like walnut) lying around after a project, this is exactly what you should do with them: make a walnut cutting board! While a solid, thick cutting board is still an essential part of a well-equipped kitchen, these planks are just a handy way to tackle fast cutting jobs. What I really like about these small cutting boards is the ability to grab fast for small jobs while cooking, or tossing them out with a few different finger food choices when friends come over. 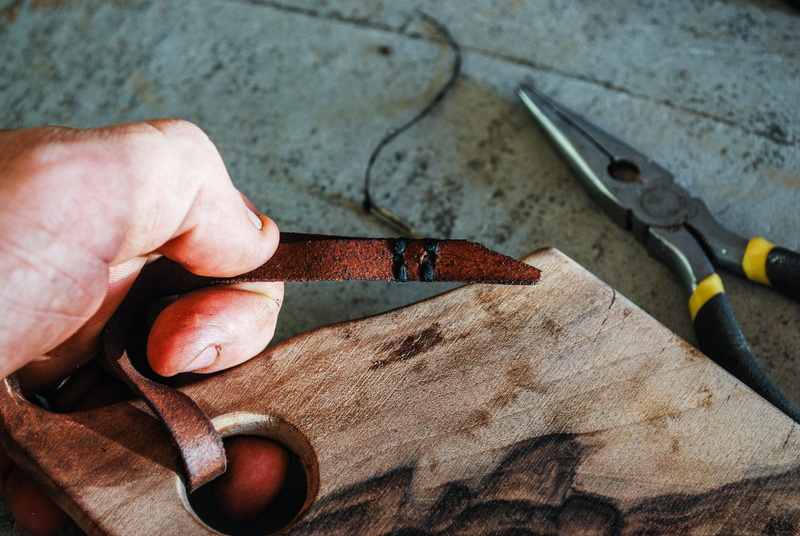 Putting a simple hole and leather strap makes it easy to stash them in plain sight. 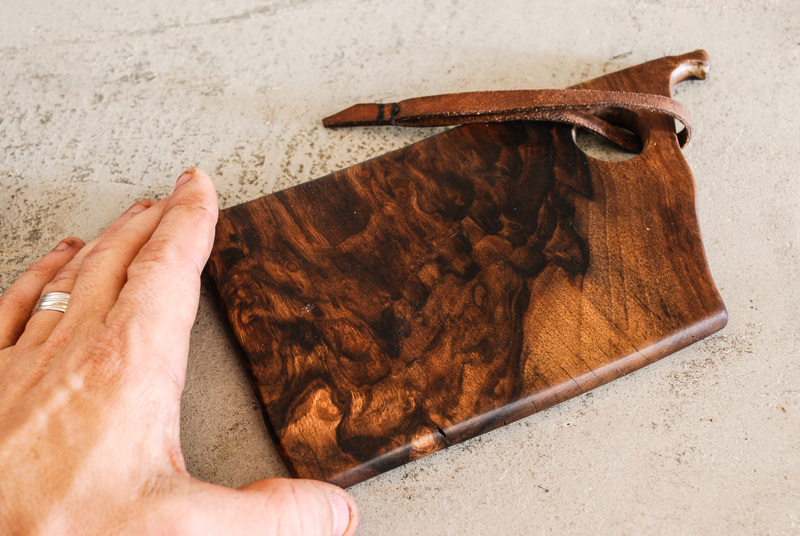 Here are the steps I took for making a simple walnut cutting board that works great in the kitchen, on the table, or wrapped up as a gift. 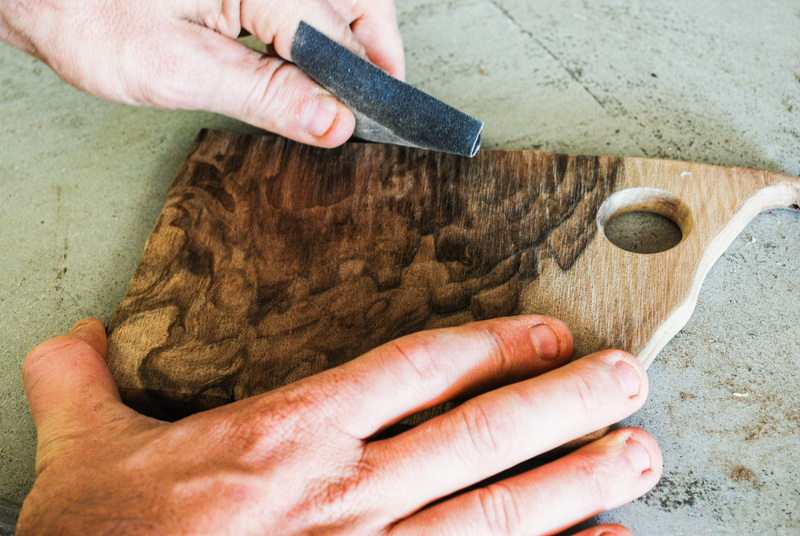 Which Type of Wood Should You Use to Make A Cutting Board? For this type of cutting board, harder woods that have a more closed grain like walnut or maple. This holds up better while cutting, and won't absorb food and liquid as easily. 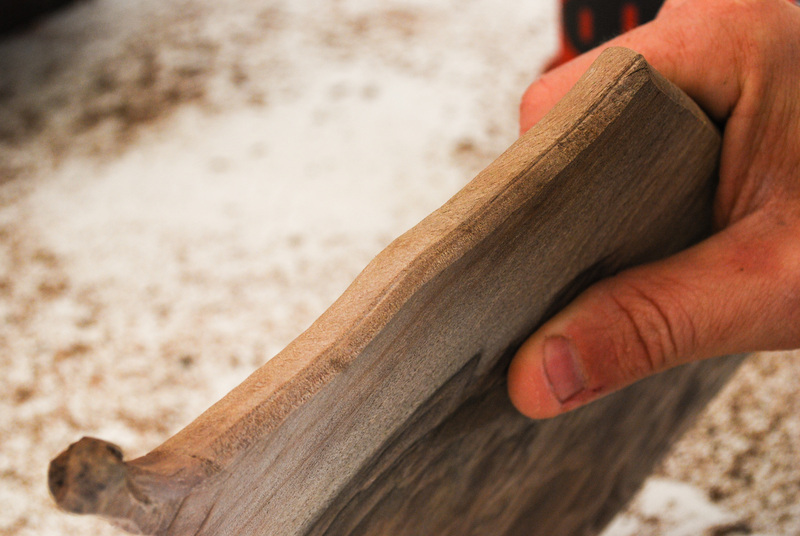 You can square up the pieces, or stick with a natural, live-edge look. 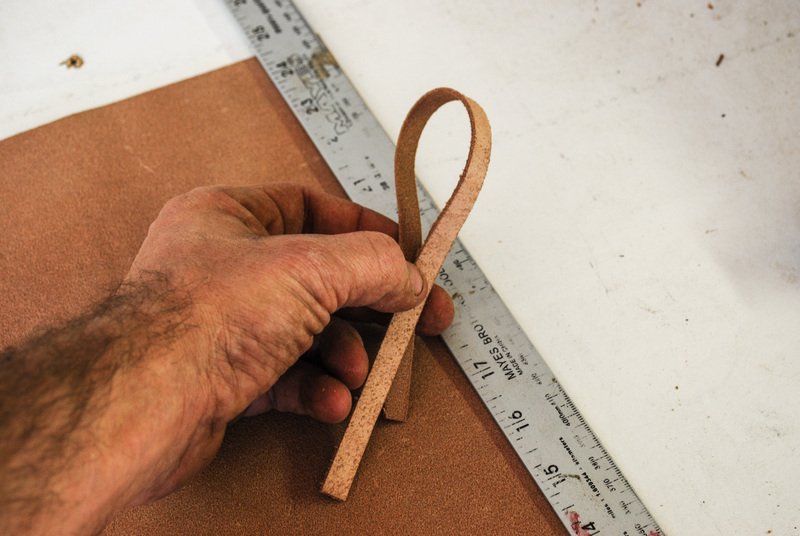 Your stock should be at least 1/2" thick to keep them from warping with repeated use and washing. 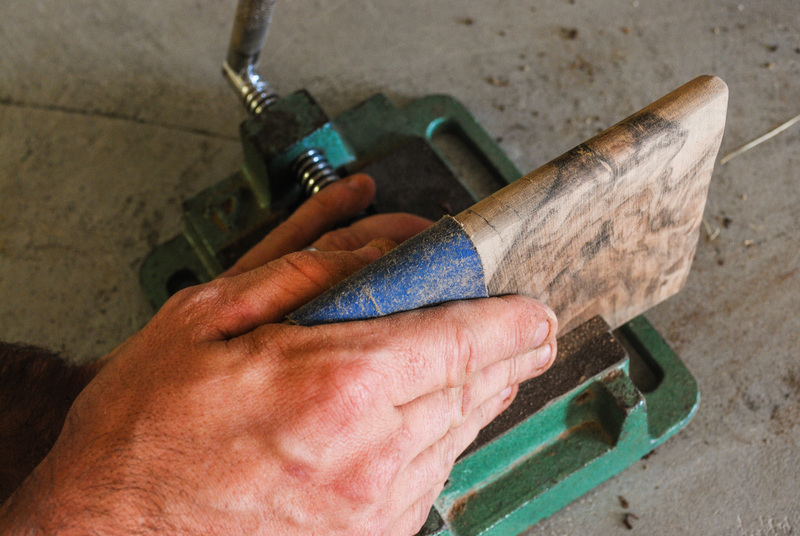 Avoid edge checking (cracks) if possible, or stabilize with CA or wood glue. I drilled a 1/2" hole near the top corner for a thumb hole, and also to attach a strap for hanging it. I rounded over the hole and outer edges with a round-over bit on my trim router for a smooth feel. This is where the rough edge shows it's glory to give a pleasantly uneven and interesting look to the board. It looks like a tree, not lumber. A bit of sanding got the edge smooth and seamless. Sanding - Because I was using re-sawn wood, the surface of my boards was a bit rough. This took a lot of sanding to get to a smooth, even face. I used a combination of belt sander, random-orbit sander, and plenty of hand work with a sanding block. I worked up from 100 to 400 grit for an even surface that looked great, and guaranteed no dust in the food. 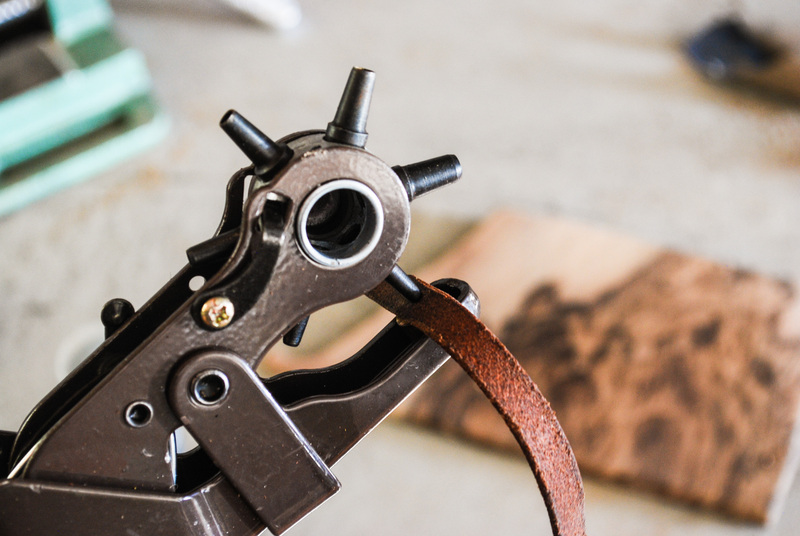 Finish work - I sewed on a small strip of leather for a handle and hanging point. 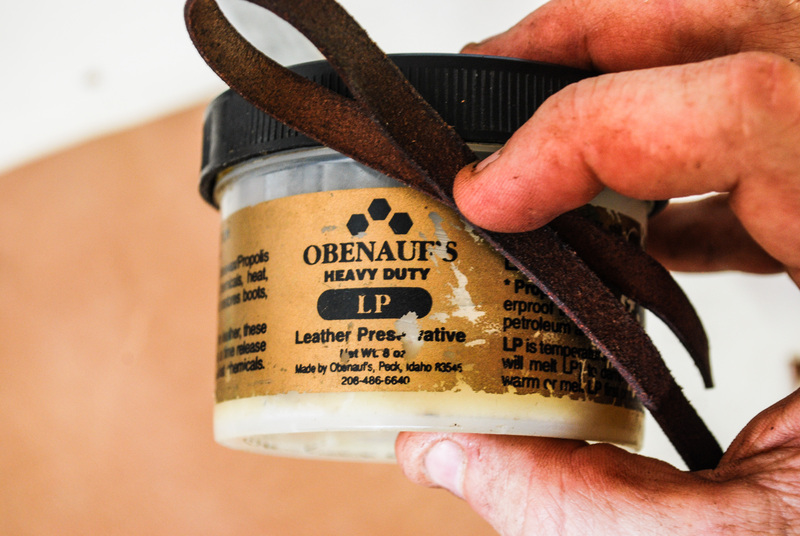 This came from a sheet of un-tanned leather that I cut and treated with leather preservative. I punched a few holes and sewed it on to the cutting board. The stitch was simply a horizontal loop, but it kept with the simple design. I used non-toxic mineral oil for the finish on this. It doesn't stay on as long, but it's safe for food. This natural finish really made the grain pop on the figured wood. - Avoid cutting garlic or onions, or meats on wood cutting boards, stick to a plastic (HDPE) material for those tasks. 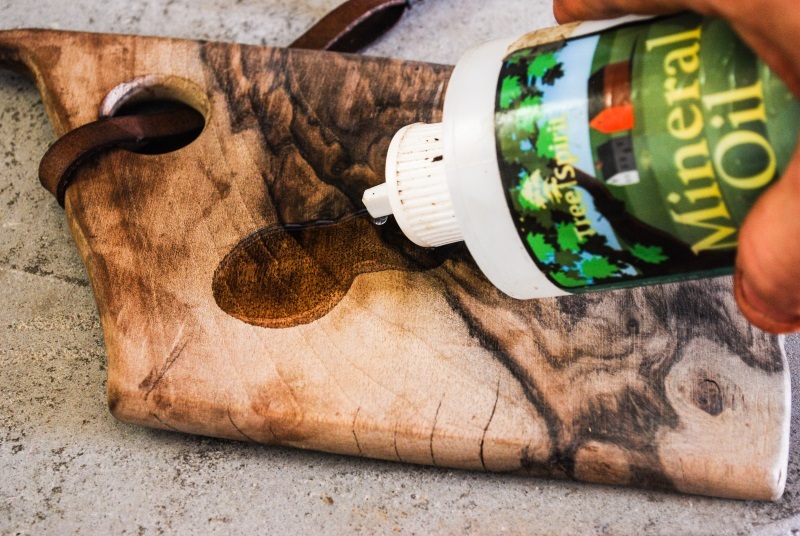 - Take care of your wooden cutting boards on a regular basis to keep them functioning well over time. Take a look here for tips on how I do that. - These make really, really good gifts. Whip up a batch in bulk.